It might sound like something out of science fiction, but the Allevi 2 is very real. 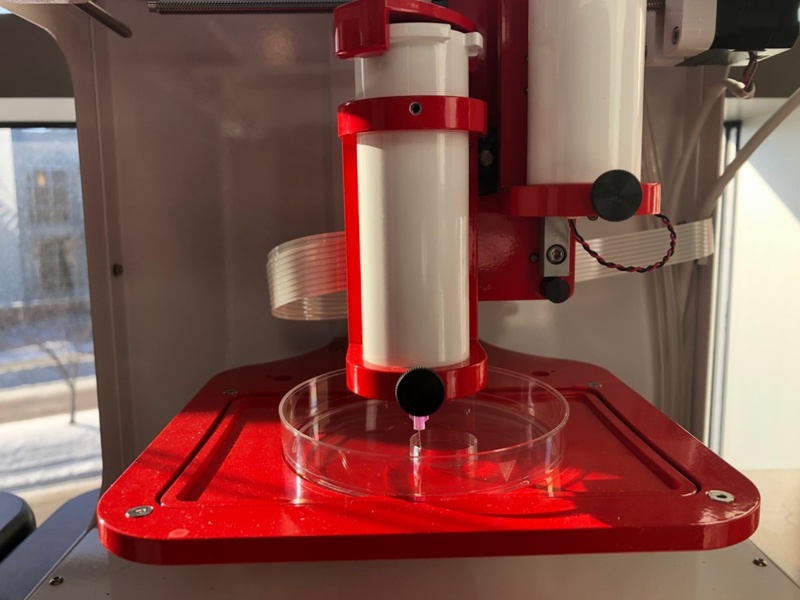 It’s among the world’s first 3-D bioprinters that prints living tissue out of human cells. 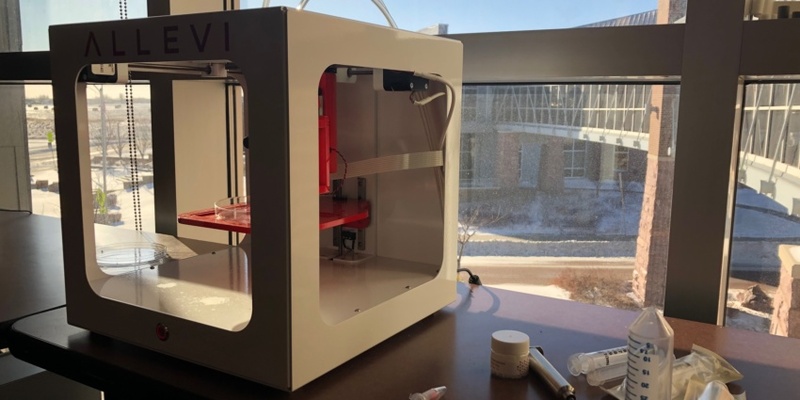 And one arrived recently at the USD Graduate Education & Applied Research Center in Sioux Falls, where director Dan Engebretson and his team have been starting to use it in their work. 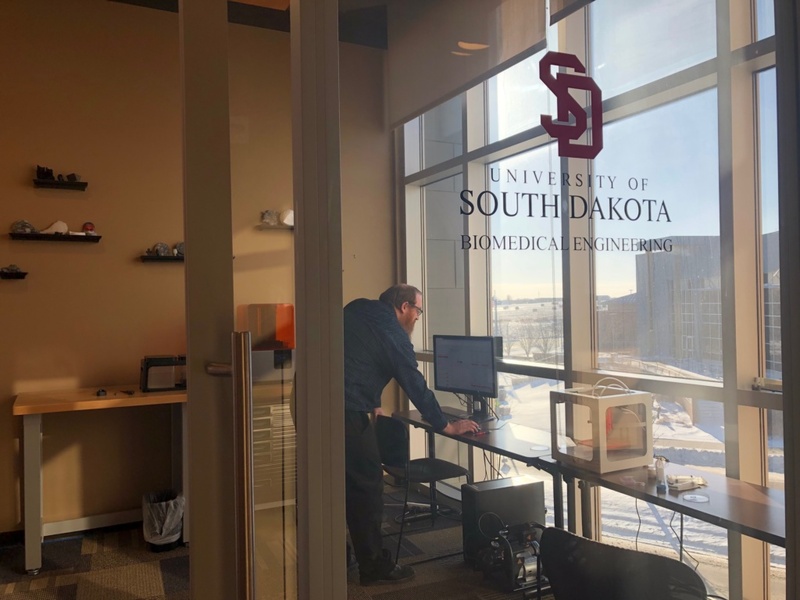 “It’s a very active area of research and ties into some of the things we’re doing at the USD biomedical engineering department, including bone tissue engineering,” Engebretson said. The printer uses material laden with cells to produce new three-dimensional structures that consist of tissue. 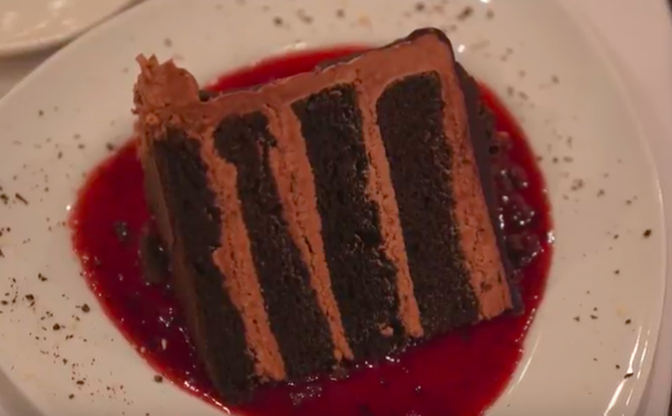 One demonstration produces an object designed to mimic a trachea. Another combines material that mimics cartilage with a material that mimics skin to create an artificial model of an ear. 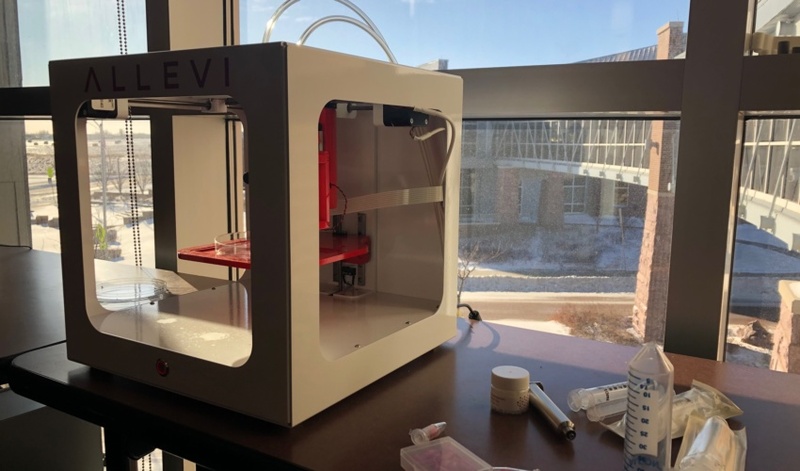 The printer will be part of USD’s new undergraduate program in biomedical engineering, which starts this fall in partnership with the South Dakota School of Mines & Technology. The printer likely is the only one being used in South Dakota, he said. It was purchased through the BioSystems Networks/Translational Research, or BioSNTR, a program bringing academia and industry together to grow the state’s bio-based economy. While the research and application of it are still in early stages, this sort of work is being done nationwide, Engebretson said. In the future, someone with bone cancer could benefit from it, for instance, by removing cancer from the bone and using the patient’s stem cells in a bioprinter to create a synthetic scaffold that allows the body to heal itself. The same approach could be used in the military when soldiers lose pieces of bone. 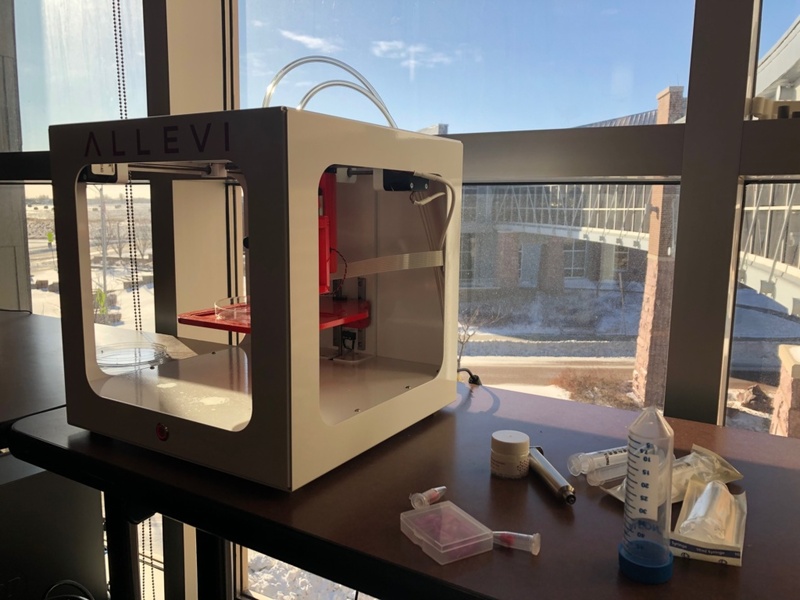 The Allevi 2 is just one of several 3-D printers in the GEAR Center’s lab on the University Center campus at 4800 N. Career Ave.
Those printers are used more traditionally by mechanical engineers to create three-dimensional plastic or resin-based objects. You can get an up-close look at the technology and innovation occurring at the GEAR Center on Feb. 7, when South Dakota Biotech hosts a free networking event there from 5 to 6:30 p.m.
“The work being done at the GEAR Center often flies under the radar in our business community and even in our scientific community, but it’s positioning us for big things in the future,” said Joni Johnson, executive director of South Dakota Biotech. 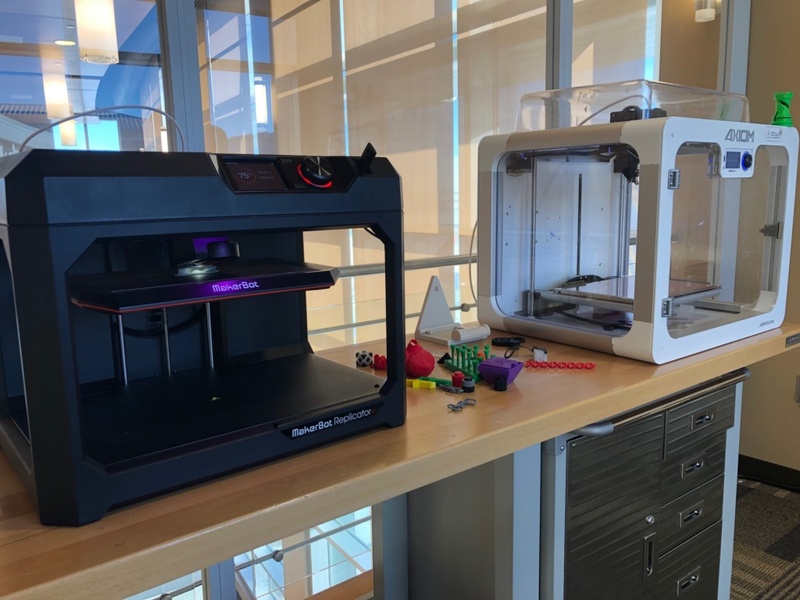 You’ve probably heard of 3-D printers. But this one uses human cells to print living tissue. 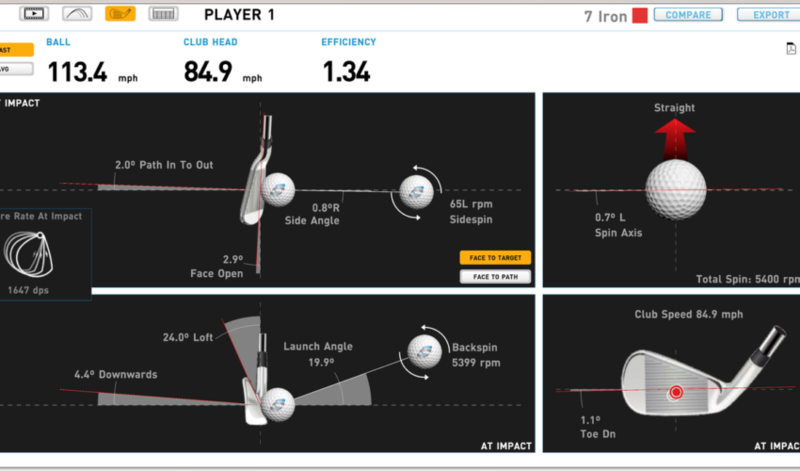 It’s not science fiction: It has already arrived in Sioux Falls at the USD GEAR Center.